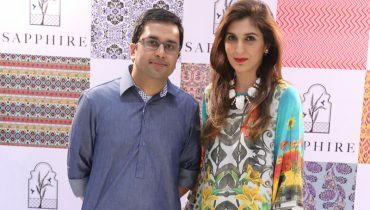 Kapraa Gali is one of the most famous and leading fashion brand in Pakistan. Kapraa Gali has launched so any collection and gained a good response. Kapraa Gali has designed and launched their latest dresses 2014 fro upcoming event of Eid-Ul-Azha. Kapraa Gali girls dresses 2014 for Eid-Ul-Azha have embellished with embroidery and prints both. Let’s check out some of the dresses here below. Kapraa Gali by Anum Jang Dresses 2014 For Eid-Ul-Azha. Kapraa Gali Eid Collection 2014.